In many cities, urban nature is managed in a multicultural landscape. The ethnic and cultural diversity seen in many western cities today, mostly driven by recent immigration, is unprecedented. For example, Toronto boasts a foreign-born population of about 50%. In Australia, 25% of the population is foreign-born. In many European cites, this is about 15-20%, or higher. 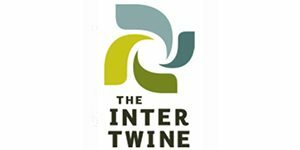 Promoting the urban-nature agenda in multicultural environments may involve evoking a different language, one that speaks to the different values and meanings we attach to urban nature, instead of simply advancing one-size-fits-all solutions and techniques. One of the goals of managing urban nature is to create successful human-nature interactions in cities. If the population of a city is ethno-culturally diverse, it must account for what these diverse people want from urban nature. However, previous research has suggested that immigrants and ethno-culturally diverse people don’t like trees or urban natural areas as much as others. These diverse people also tend to live in areas with less access to urban nature than non-immigrants. Today, new research is helping us overcome this chicken-and-egg puzzle, and revealing how diverse people attach meaning to urban natural areas, although this meaning is not what is expected. In this article I wish to discuss the evidence on how immigrants and people of ethno-cultural diverse backgrounds value urban nature, based on my own review study in urban forests. My tree-centred lens, albeit limited, provides a more concrete way to understand how diverse people relate to tangible features of urban nature, instead of just looking at the loose concept of “green space”, which may or may not include natural elements. Ultimately, trees are a common element of urban nature, and the ones being planted, removed, and distributed in our cities. Ethnicity has different interpretations. Here, I define it broadly as the social boundary that defines who is inside or outside a group of people based on a shared culture or a physical characteristic, where culture is the system of symbols, such as language, and shared values of a group of people. What defines the borders of any human group usually depends on a context. In the United States, ethnicity is usually interpreted racially (i.e., Black vs. White). In Europe, it is interpreted to mean a non-European, or foreign-born. Canadians use a variety of terms that reflect different aspects of ethnicity, including visible minorities (i.e., non-White), non-European origin, and foreign-born (i.e., not born in Canada). Here, I use the term ethno-cultural diversity to emphasize the cultural aspect of ethnicity. Race is an inherent aspect of ethnicity, and it is not my intention to separate them. However, by focusing a bit more on culture I can discuss the differences driven by immigration, such as those between a recent arrival from Mauritania in Canada and a native black Canadian, both of whom, although visually similar, carry a distinct cultural baggage. Other experts on this blog will touch upon issues of race. Also, this lens lets me discuss the nuances of managing urban nature in a multicultural world. By multiculturalism I mean the condition and principle of politics and planning embedded in many national agendas (e.g. Canada; Australia), that recognizes, accommodates, and integrates cultural differences. When we speak about ethnic issues it’s also important to speak about where we stand in relation to them. So, I’ll put myself out there. I am Colombian and I see myself as a diverse person. People obsessed with visual differences may not see me that way (see my bio picture! ), but, like many Latinos, I am of mixed Spanish, Indigenous, and Black background. My mixed background is indicative of the complexity that emerges when you define yourself based both on what people think you represent and how you see yourself. I have a personal fascination with issues of multiculturalism due to personal experiences. I am a researcher on urban nature, but I’m also a Latino immigrant to Canada. Early in my life I had the opportunity to study at an international school that promoted multiculturalism, and have lived in seven different countries, including India and Germany. These experiences have predisposed me to think deeply about identity, race, culture, ethnicity, and immigration. I want to write about the science and not the politics of race and immigration. By this I mean the research studies that are based on the views that diverse people have about urban nature. Given this interest, I do not cover studies that focus on the distribution of urban nature resources. Many excellent studies have demonstrated the uneven distribution of urban parks and urban trees and vegetation in the social landscapes of cities, and the consequence of this unequal distribution for service provision, such as low health outcomes in minority groups. Nevertheless, as important as these studies are for managing the distributional aspects of nature, they do not give people of different ethnicities a voice to inform us how they see their relationship with it. Of those studies that do give a voice to the people being studied, many of them, particularly those that use surveys to capture data and focus on people’s preferences, show that immigrants and/or ethno-culturally diverse people prefer more manicured natural landscapes with less trees than those of European, White decent. A small amount of studies, particularly more recent ones that focus on the meanings diverse people attach to urban nature and that use different means to capture data, such as interviews, say that ethno-culturally diverse people value urban forest spaces greatly, mostly for social interaction and integration—the most frequently mentioned idea by far— escape from urban life, stress reduction, and reminiscing childhood memories. This contrasts with the meanings attached to urban forests by the general population, which focus on aesthetics, environmental benefits, connection to nature, and feelings of calmness and relaxation (for examples, see my review study). To put it bluntly, much of the evidence to date suggests that immigration and multiculturalism are inconvenient for advancing the agenda of solving urban environmental problems with nature-based solutions, such as planting more trees, or making natural areas wilder. This is why the idea that “immigrants don’t like trees” has settled deeply in many of us, whether we are urban planners, architects, managers, or researchers. 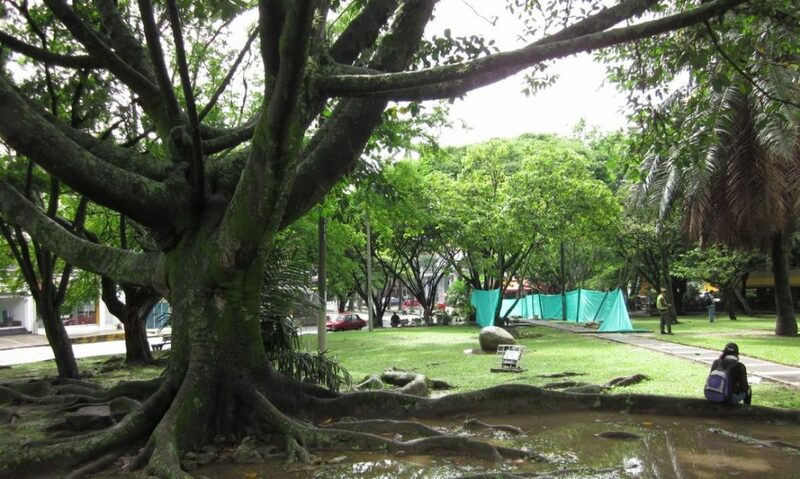 However, the studies on immigrant perceptions of urban nature, particularly those on urban forests, vary so greatly in areas of focus, research designs, and approaches to capture ethnic identities, that it is actually very difficult to generalize across them. For instance, most studies (see the 30 studies covered in my review) take place in the US and Europe, where the most common definition of an ethnic group is a person of non-European/non-White background. This is understandable given the broad definitions of ethnicity in many countries (see above), yet it puts people who may be very different, such as our friends from Mauritania and Canada described above, in the same basket. This is what we in the field call intra-ethnic variation, or differences within ethnic groups, and many studies do not account for this. Another caveat is the wide range of areas of focus. 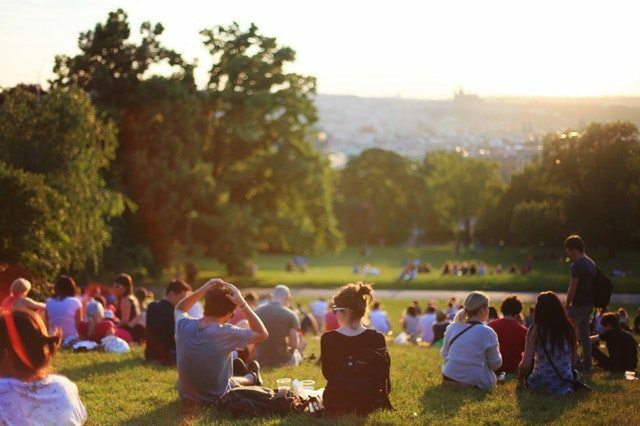 Most studies either investigate people’s preferences of aspects of urban nature in a specific context, such as trees in front of a house, or investigate the uses people give to urban natural areas, such walking or picnicking in a park. Preferences and uses can be context-specific and variable. A problem here is that the lower preference for trees held by immigrants and ethno-culturally diverse people may be conflated with the fact that trees are not well distributed in the places these people live. Research has demonstrated that people’s preferences for trees depend on whether they have a tree in front of their house. Although studies on preferences and uses are vital to answer questions about attitudes and uses, and to compare dominant vs. non-dominant groups, most of these studies don’t answer the question that is most interesting: what meanings diverse people assign to urban nature? The few studies that try to address this question (see the studies covered in my review) have not only revealed different meanings attached to urban nature, but also new ways of thinking about the role of ethnic background in our perception of nature. The meanings attached to urban forests, usually social interaction and integration, stress reduction, and childhood memories, among many others, emerge for a variety of reasons, some of which have not been fully explored and are opening new avenues of research. For instance, people’s previous lifestyles, such as urban and rural lifestyles, may influence people’s perception, as does childhood experiences in nature. People who come from countries where lack of investment in green infrastructure and lack of security are more prominent issues may be more aware of the disservices of trees and, perhaps, more fearful of crime in treed areas. 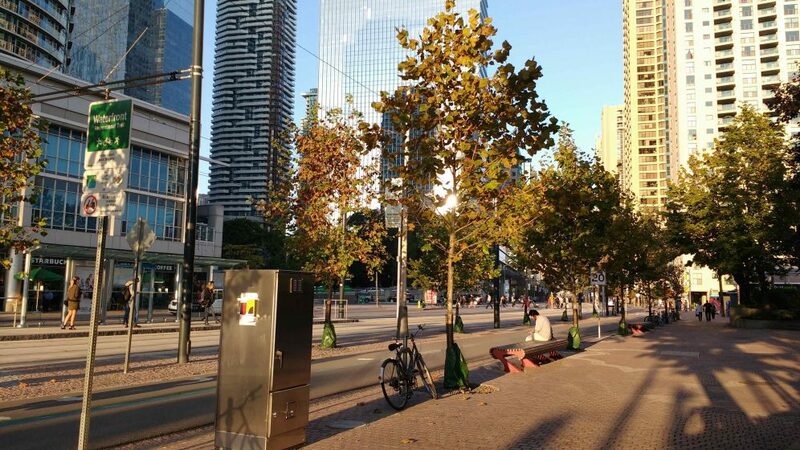 Moreover, people’s ecological background, that means, the natural landscape they grew up with, such as a tropical coast, or a dessert, may influence people’s perceptions of urban forests. Undeniably, the different paths people follow to immigrate to a new country, such as those taken by refugee and economic migrants, will influence people’s relation with their immediate urban environment. Finally, people’s cultural differences, such as those between collective and in individualistic cultures, or spiritual and materialistic cultures, may also influence people’s perception of urban nature. If you live and work in a multicultural city, and if you have something to do with the design or management of urban nature, you may agree in principle with the idea that the meanings attached to urban nature by people of a diverse ethno-cultural background must be accounted for in the way urban nature is managed. However, you may struggle with this idea in practice, since previous research has shown that “immigrants don’t like trees”. Although there has been an excellent amount of research on the topic, I believe that this conclusion is premature. I don’t think there is enough evidence to fully understand the importance urban nature has for people of a diverse ethno-cultural background in multicultural cities. The reality is certainly more complicated than simply saying that some “immigrants don’t like trees”. Only future research, that focuses on decoupling cultural background from lifestyles, childhood experiences, socioeconomic backgrounds, immigrant paths, ecological background, will clear the way for a better understanding. I believe that the urban-nature agenda does not necessarily collide with the multicultural agenda. However, to manage urban nature in a multicultural city, we must adopt a broader view about what urban nature means to people. Urban nature means many more things to people than we expect, especially people who have recently arrived and come from a very different ecological and cultural background. We have to be open to new ways of envisioning the ideal we have come to embrace. The fact is that engaging immigrants and people of ethnic minorities is vital to advancing the urban-nature agenda in multicultural cities. 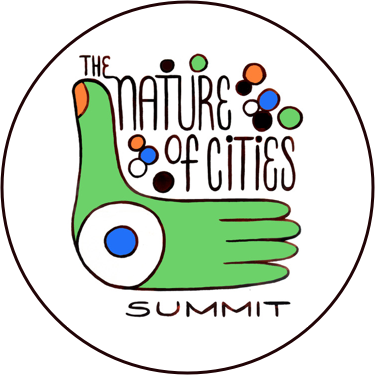 But this may involve evoking a different language, one that speaks to the different values and meanings we attach to urban nature, instead of simply advancing one-size-fits-all solutions and techniques. If you don’t know what your diverse constituents think, go out and ask them, involve them, give them a voice. What you will find may surprise you. Camilo is an environmental researcher focusing on human-nature relations in cities and nature-based solutions to urban sustainability problems, including adaptation to climate change, with a focus on urban forests and trees. Originally from Cali, Colombia, Camilo has research experience in North America, Europe, Latin America, and Australia. Culture Resilience Livability Landscape Asia Conservation Gardens Climate change Design Biodiversity Stewardship Sustainability Planning North America Experiencing Nature Participation/Democracy Economics Wildlife People Interactions Pollution Education/Knowledge/Learning Tools Architecture South America Art Parks Disasters/Red zone Ecosystem services Networks Biophilia Awareness Justice Water Health Governance Wetlands/Rivers/Streams Development Policy Communities Value What is urban nature?